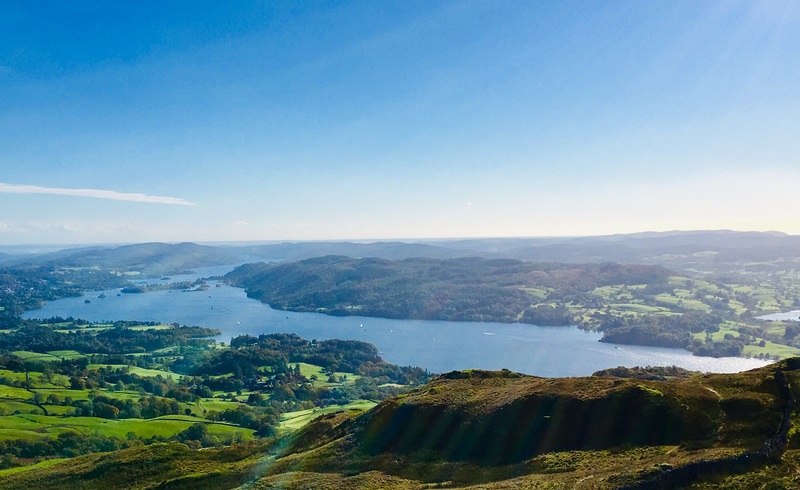 This strenuous but rewarding hike takes in breathtaking views as you climb to over 1500 feet, and includes the chance to visit some authentic country pubs. Take a map and appropriate clothing, and head to the hills to get close to nature. Most of the paths are rough, so wear appropriate footwear with good grips. It can be cooler on the fells so take something warm to put on. The weather can change rapidly, check weather reports before setting off and let the team know you are going to tackle Wansfell. 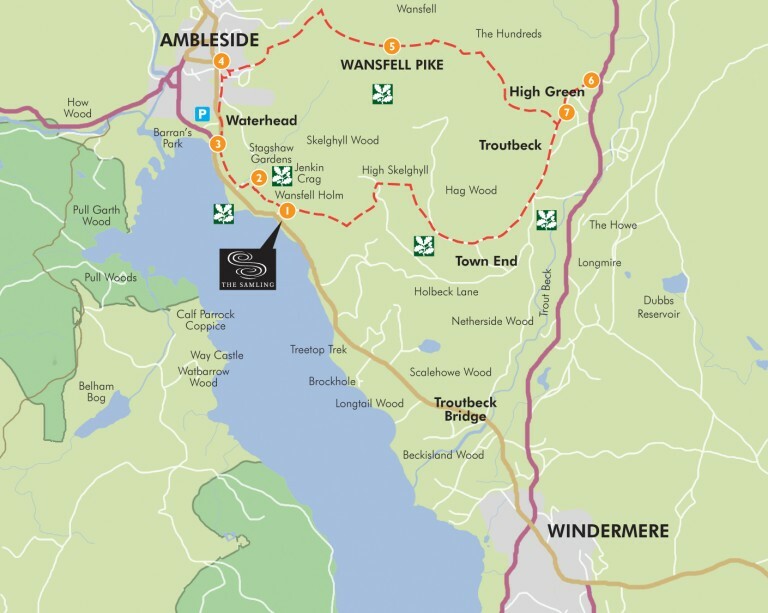 1.Take the footpath along the road to Waterhead, continue towards Ambleside, turn right onto Old Lake Road. Turn right onto Fisherbeck Lane, bear left onto another lane, at the T-junction turn right onto Blue Hill Road. Continue along this lane which becomes a stony track. Continue up the path and cross over two stiles. Turn right onto a footpath just before a wooden gate which takes you to the summit of Wansfell Pike. 2. Descend the gentler east facing slopes of Wansfell on the well-defined footpath across open fell, then pass through the gate in the stone wall. Follow the footpath through a large gate and join the track with stone walls on both sides. Turn right and continue downhill until you arrive at a lane in Troutbeck, the valley Beatrix Potter described as her favourite. Here you can turn left to visit a country pub, or turn right to continue the walk. 3. There are two great pubs here in Troutbeck, both serving food. The Mortal Man will be on your right after a short distance; The Queens Head will be on your right after about 0.5 miles. After a hearty meal or a pint of local ale, retrace your steps and continue on the walk. 4. Follow the lane for 0.5 miles, at the village community shop and post office bear right up a tarmac track which becomes a stony track signposted public bridleway “Robin Lane”. Continue to Y-junction with a seat and continue straight. At the next Y-junction bear left (off the main track) and pass through the small gate signposted public bridleway “Skelghyll & Jenkins Crag”. 5. Follow the path downhill to a hard surfaced track, turn right across the beck then go through a gate next to a cattle grid. Follow the track until you reach Skelghyll Wood, there are a couple of paths down the hill that will lead you to the hotel and come out near the Dutch Barn which is at the end of lane from the car park. After all that hard work, finish your day with a relaxing massage in the comfort of your own bedroom followed by dinner here in the ‘Best Boutique Dining Hotel in the World’.